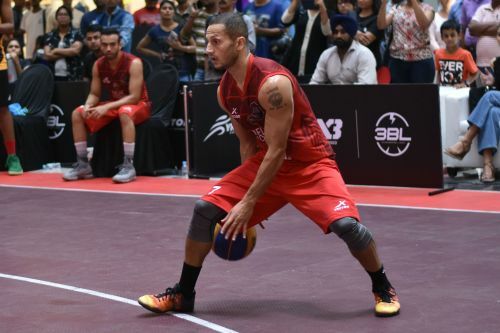 The 3X3BL, India's first ever FIBA recognized pro basketball league in India, is taking the country by storm. So far, they have held three two-day rounds - Round 1 in Delhi [9th & 10th June], Round 2 in Aizwal [23rd & 24th June] and Round 3 in Kolkata [7th & 8th July]. 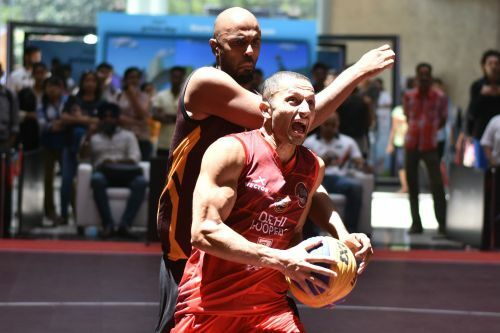 Despite the increased competitiveness in each game through each round, only one team has been victorious so far through all three rounds in the league and that's the Delhi Hoopers. The Pooja Bhatt owned franchise has won all three rounds so far, leading the second-placed [Ahmedabhad Wingers] teams by a points margin of 59 points [302-243]. In two of the three rounds, they have defeated the Wingers in the Championship game of the round [Rounds 1 & 3] and in two of three rounds, American national Inderbir Singh Gill has been named the MVP of the round [Rounds 1 & 2]. Q: How has this entire 3BL experience been so far, through three rounds? Inderbir Singh: It's been great. I've been playing 3-by-3 for the last three years in Japan. This league starting in India has been a great chance not only for me but also for the Indian basketball players. They get a chance to showcase their skills and I think this 3BL League is giving them a platform to do so. Q: Your prior experience would have come handy while playing in the first two rounds, right? IS: Yeah, definitely. It helps a lot. 3-by-3 is different from the 5-on-5. It has a different strategy. You have to be extremely fit and in shape to play this game. That was the key in the Delhi Hoopers winning the first two rounds. Q: Your first game in Round 3 against the Bangalore Machas was very very competitive as compared to the previous two rounds. Do you see the competitiveness in the league increasing? IS: Yeah, it's increasing every game and every round. Now, that we have most of the international players here too, they also raise the level of play. I think even the players in India, they are starting to learn the rules and how the game is played. So that's why the competition is going up now, every game and every match. 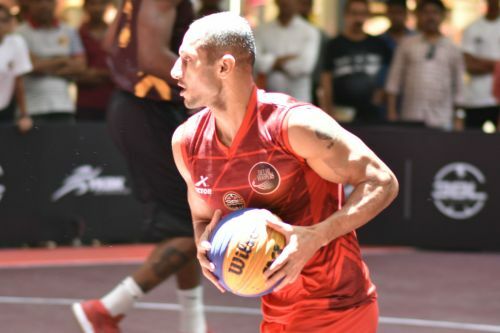 Q: Do you think what's at stake for this round - the team at the top of the standings at the end of Round 3 head to Japan for the FIBA 3x3 World Tour Masters. Do you think that's also got a lot to do with this - the competitiveness? IS: I think so but at the end of the day, we're all just athletes, we are competitive and we want to win. When somebody loses, they want to make sure they play harder [the next time] and get ready for the next round. So, I think, that's really what it is. It's just experience, in my opinion, that's making all the teams prepare more and now, we can see that this round is actually pretty competitive. Goa [Goa Snipers] hadn't won a game before and they just won the second game today [Saturday, 7th July]. They beat the Chennai Icons, who were the runners-up in Round 2. Q: As a player, what is the biggest difference between 3-by-3 and 5-on-5? IS: I think the biggest difference is the intensity and the physicality. In this game, the 3-by-3, you have to be extremely fit to play. It's a physical game and it's street ball. Like back home in US [United States], in street ball you don't really call too many fouls and here it's kind of limited as well. So you kind of have to be strong and you can't get tired as quick. In my opinion, that's the biggest difference. Q: I'm sure the spontaneous nature of the game is a big difference and a huge challenge, especially how quickly offense changes to defense and vice-versa, right? IS: Yeah, exactly. That's what makes it so entertaining and exciting. Q: Through these first three rounds - first in Delhi, then in Aizwal and now in Kolkata - what's the fan response been like? IS: It's been very overwhelming. The people, wherever we go, like right now I'm standing in the mall and they keep coming to me asking for autographs and pictures. It's really nice to be welcomed that way in India because people don't know much about basketball. So it feels great to be a part of this. Q: One final question with an NBA angle to it - Can you tell me your favorite NBA player and NBA team? IS: My favorite NBA player is LeBron James and I guess, my favorite team is the Los Angeles Lakers.